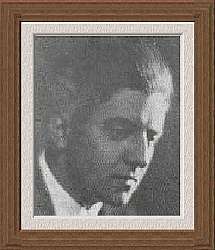 Vincent Starrett was the author of the renowned pastiche the Adventure of the Unique Hamlet, The Private Life of Sherlock Holmes and other writings. The pastiche is widely considered one of the finest ever written and is listed in The Diogenes Club Required Readings. Mr. Starrett was a prolific Sherlockian author and critic, friend of many highly acclaimed authors and writers, including such luminaries as August Derleth (of the Solar Pons series fame) and H. P. Lovecraft, and a much admired journalist with American Newspapers.